If you’re thinking about or already building an IoT product, there are some things you should know. First, most carriers are planning to sunset existing 2G networks in the next 1-2 years to make room for LTE. Second, most US carriers are no longer accepting new 2G or 3G device certifications and won’t allow new 2G and 3G products on the network starting as early as June of this year (even if they’re already certified). These rapid changes mean that it’s critical for product creators and enterprises to make the jump to LTE if they haven’t started already. 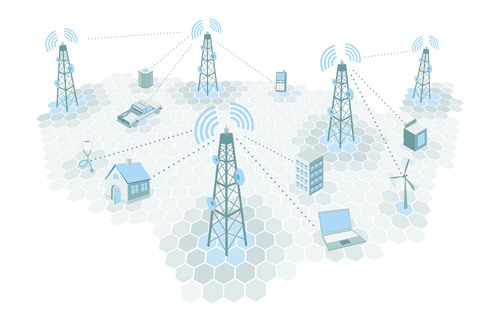 Cat-M1 is the newest cellular connectivity option available for IoT devices. It’s an LTE chipset that is designed to integrate with sensors. It consumes less power, and supports everything from water monitoring systems, to asset trackers, and consumer electronics. Verizon just launched Cat-M1 networks a year ago and IoT platforms are just starting to offer Cat-M1 as a part of their cellular connectivity offerings. But why did it take so long for Cat-M1 to launch, and why are IoT platforms just starting to offer it for IoT applications? The LTE you use on your phone is the not the same LTE for IoT. For instance, Verizon rolled out LTE in 2014 but didn’t announce LTE for IoT until July 2017. From there, it takes time for cellular and wireless chip providers to implement LTE into modules that can be used for IoT applications. 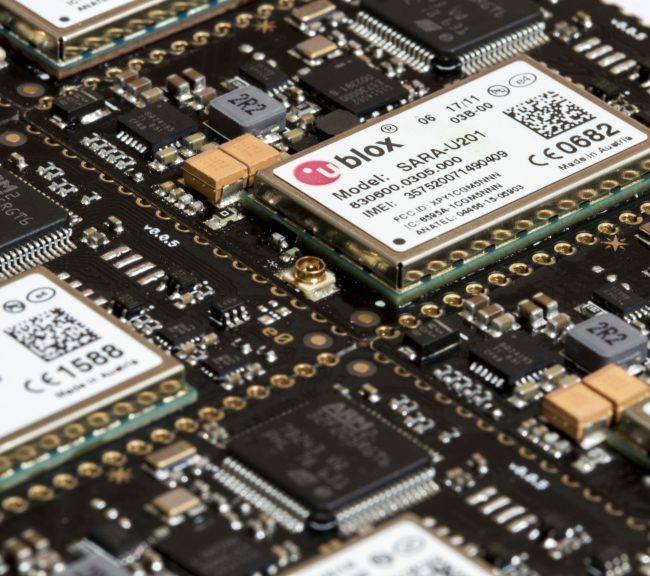 While some early chips were released around that time, U-Blox, a wireless module provider, became one of the first to offer a cellular module certified to support AT&T’s LTE‑M network with the release of their SARA‑R410M module. With the SARA-R410M, IoT platform providers like Particle finally had the modules they needed to offer LTE to their customers. This isn’t the end of LTE for IoT either. Narrowband IoT (Cat-NB1) is a proposed Low Power Wide Area (LPWA) technology that is supposed to work anywhere and is optimized to handle small amounts of infrequent data. Currently, North America (AT&T and Verizon) are adopting Cat-M1, while Europe is adopting Cat-NB1, which goes to show that many LTE solutions are still in the works and will continue to be improved upon over time. Due to this, product creators and enterprises should be turning their attention to LTE if they want to work undisrupted for the next 10+ years. 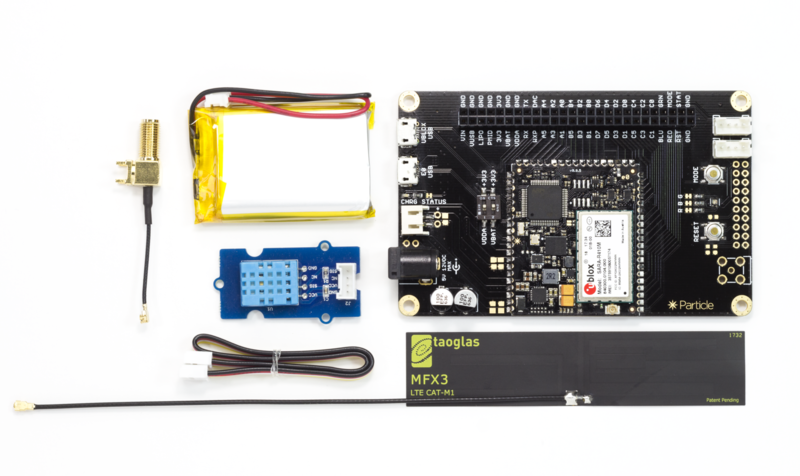 Last Tuesday, Particle announced the addition of an LTE-powered module to their E Series suite. The E Series suite is industrial IoT hardware that is built to scale and handle long-term deployments out in the field. Particle’s pre-integrated solution allows enterprises to shorten their time to market by avoiding long, expensive, and challenging integrations that can stymie the IoT product development process. Enterprises can also evolve alongside the quickly-changing cellular landscape without missing a beat with the newly supported LTE-enabled hardware. The new LTE hardware evaluation kit ships for $89 with an evaluation board, a sample temperature sensor, and accessories to build out a proof of concept. To find out more, visit particle.io/lte.